The Tone City Wild Fire Distortion Pedal is a thick, musical and responsive distortion pedal based on the Suhr Riot Pedal tones. The Tone City Wild Fire is a versatile high-gain distortion pedal with the sonic characteristics and touch sensitivity of a high quality 100 watt tube amplifier. 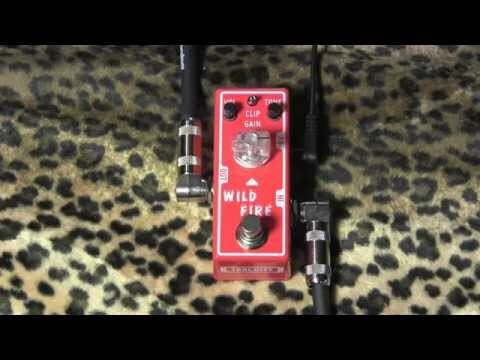 The Wild Fire will transform any clean amp into a rock tone machine that will suit your favorite rock tunes. Gain: Adjusts the amount of gain/distortion added to your tone, taking you from classic crunch to high-gain heaven.